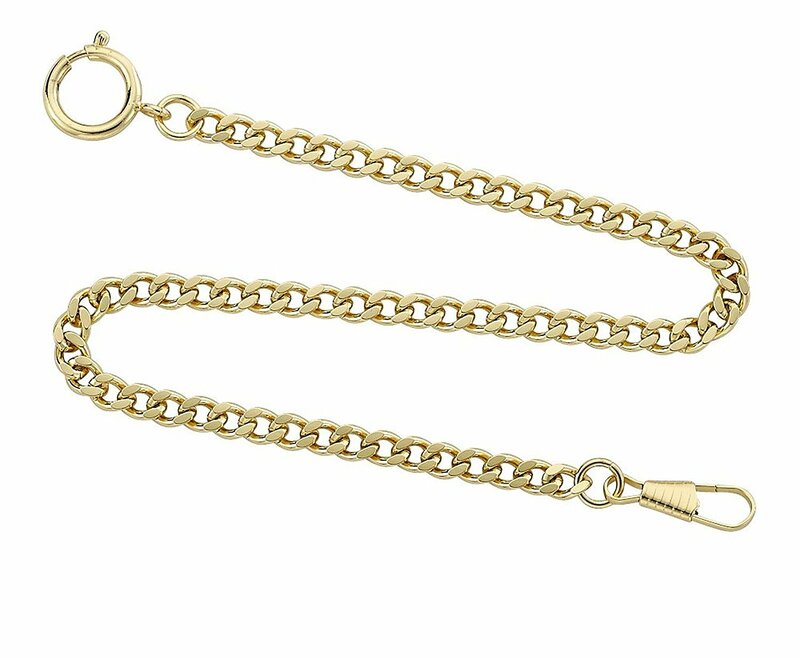 This fancy diamond cut curb link pocket watch chain features a large spring ring on one end and a watch clip on the other. 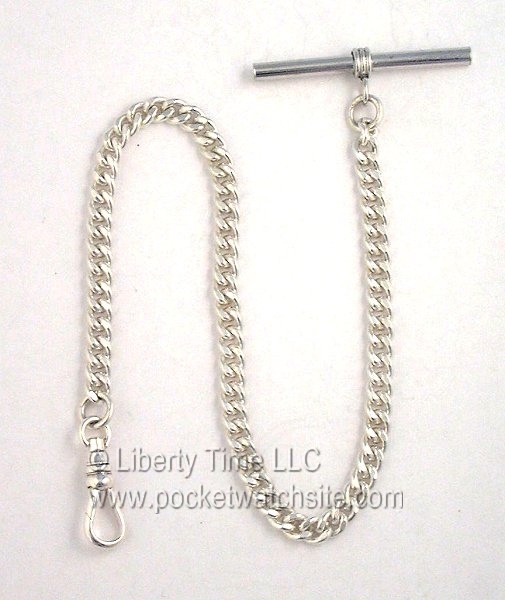 This chain has a total length of 14 inches from the end of the spring ring to the end of the watch clip. 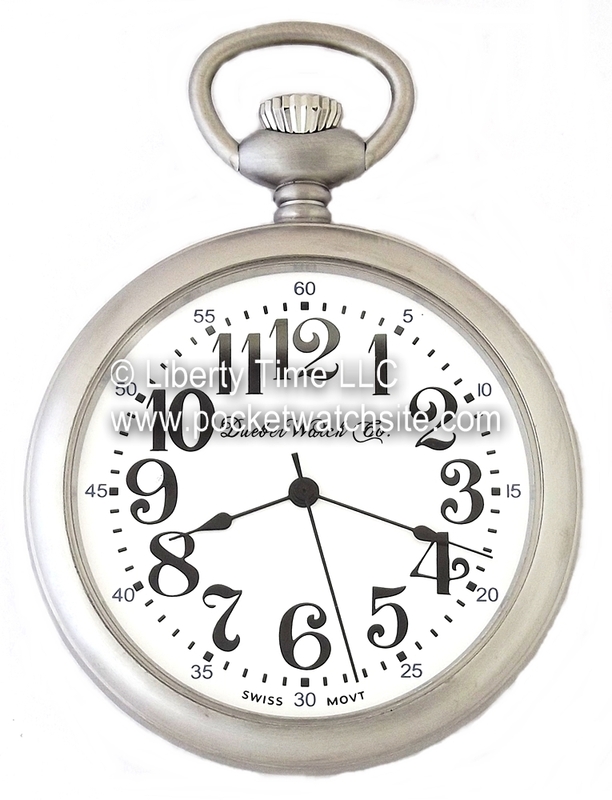 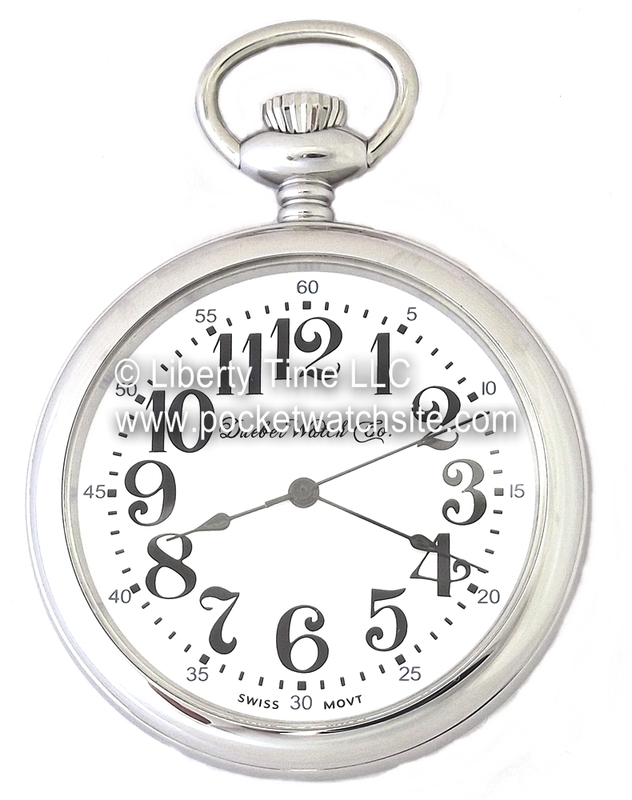 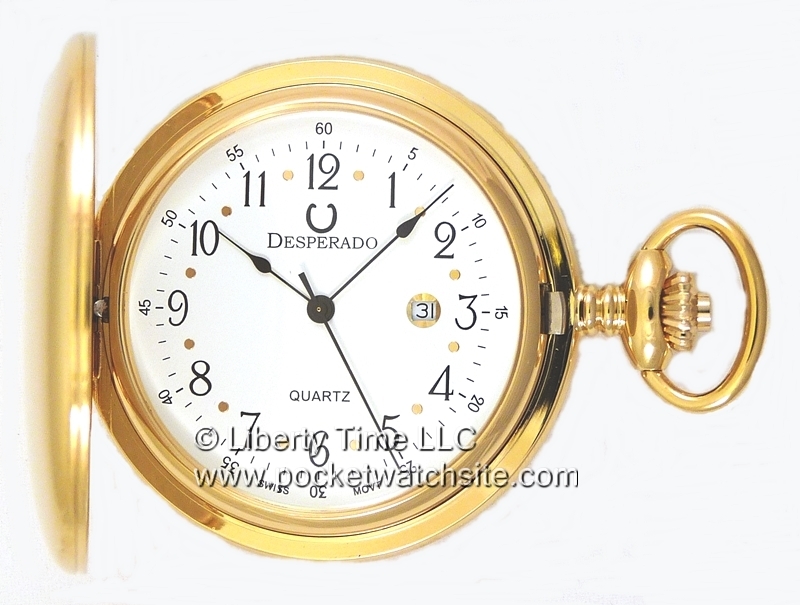 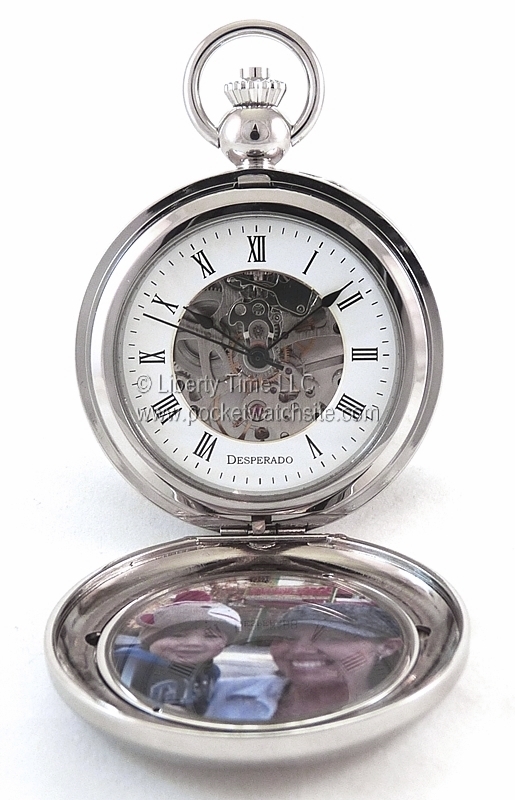 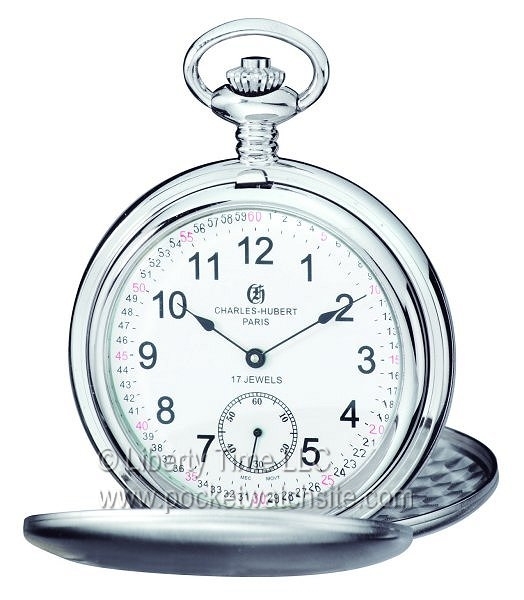 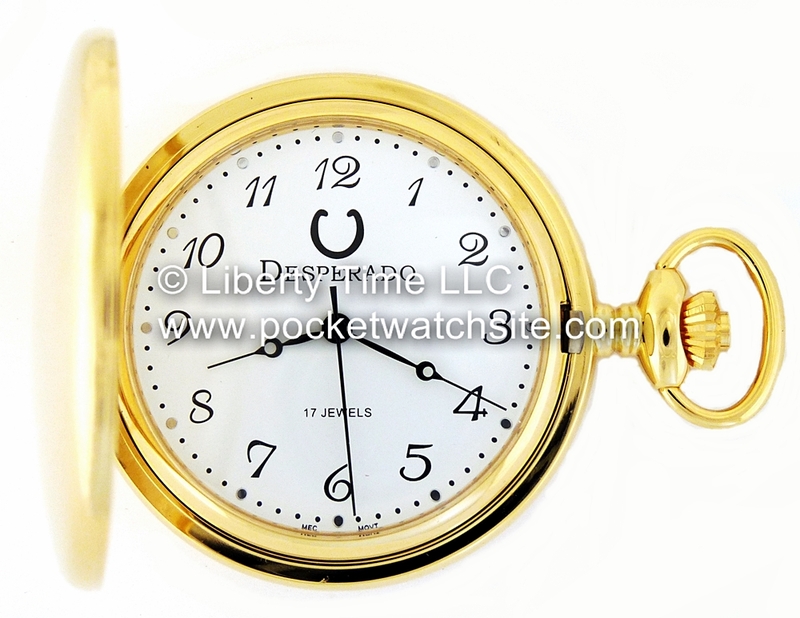 It is a good looking and economical way to carry your pocket watch.